West Papuan activists were warned not to return home, as they could be killed by the Indonesian military. This announcement was made after that the Indonesian Government invited two activists and all exiled West Papuans to return West Papuan territory. Vanuatu's special adviser to the West Papua National Coalition for Liberation, Barak Sope, has warned two leaders of the group not to return home saying if they do they will be killed by the Indonesian military. The coalition's head of mission, Andy Ayamiseba, and its vice chairman, John Otto Ondawame, both live in the Vanuatu capital Port Vila. Mr Sope made the statement in the Daily Post Newspaper after two West Papuans working for the Indonesian Government invited the two men and all exiled West Papuans to return home. 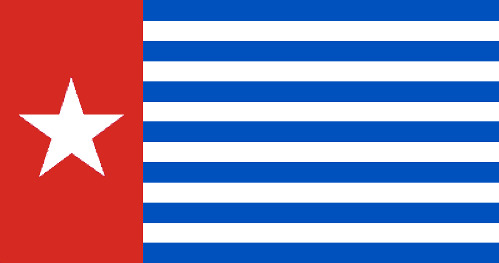 They say under the current autonomy programme, West Papua is not what it used to be but it needs its leaders to return home to lead their people. Mr Sope says as prime minister of Vanuatu he invited the late Chief Thys Elouy to be the guest of honour at Vanuatu's 20th independence anniversary only for him to be killed on his return to the Indonesian province by Indonesian police. Mr Ayamiseba also turned down the invitation saying he can only go home when West Papua gains its independence and the Indonesians have left.